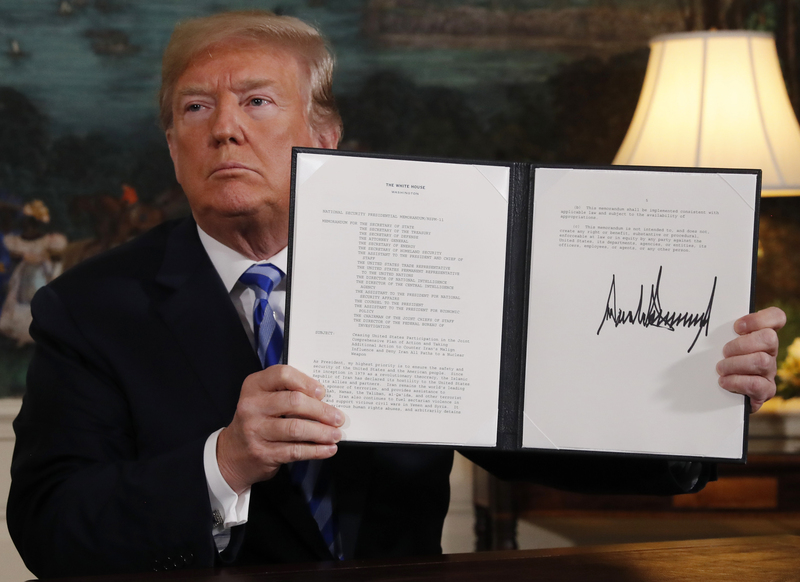 U.S. President Donald Trump displays a presidential memorandum after announcing his intent to withdraw from the JCPOA Iran nuclear agreement in the Diplomatic Room at the White House in Washington, U.S., May 8, 2018. President Donald Trump on May 8 reinstated U.S. sanctions on Iran. The United States would be instituting the “highest level of economic sanctions”, he said.